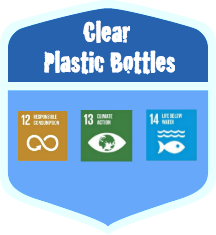 Kids Against Plastic, a mini campaign, is our family response to the UN’s Global Goals – the Planet’s to do list – backed by 193 Governments in an attempt to end poverty, combat climate change and fight injustice and inequality. As a family, we’ve decided that we’d like to do our bit – something positive – towards making the planet a better place to be, and in the spirit of the Global Goals – the need for action from everybody – we’ve tasked ourselves with a big challenge to work towards. A lot of people fear public speaking but we quite enjoy it now and have decided to help others by giving some of our tips, here are a few. Fluoride: It’s In Our Tap Water But Is It Safe To Drink? As a family we have been taking some small steps towards being more responsible global consumers.